Marijus Adomaitis- to be forgiven? I wanted to cover this story and my thoughts on it, primarily because this producer is one whom I have grown to hold in extremely high esteem over recent years. I’ve also read nothing about the debacle that is not succinct and predictably uniform in its content as a result of being published by the likes of THUMP or MIXMAG, so this will be my unmitigated personal response. ‘Unfortunately a priest’s lie for many years was uncovered when children were massively raped. I was staggered about this because the quality of his music, its depth and the sheer amount of it that exists is more than sufficient testimony to his genius as a creator. He is also every bit as good a DJ as he is a producer, which is obvious from listening to his mixes and sets like this for example. 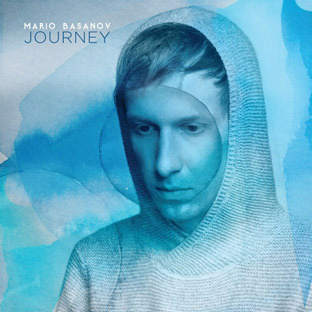 For me this genius is evident mostly in relation to his music produced under the name of Mario Basanov, whom a devastating amount of people seem to be completely unaware of the existence of. I genuinely think anybody would like his music who is in possession of a half-decent soul. The sounds are always extremely pleasing to the ear and demonstrate an extremely erudite and competent knowledge of music from around the world. The music has a miraculous ability to engage me as a listener, the vocals are pretty much mesmerizing, tracks such as Under Your Feet, Slip Away, We Are Child Of Love, and I’ll Be Gone are perhaps his finest. Then we move onto his second and more popular alias; Ten Walls. I must say I only like three tracks from Ten Walls; Gotham, Requiem and then Walking With Elephants which much like The Inbetweeners were actually so good that they won over the national populace and subsequently became almost unplayable. I must have heard Walking with Elephants four times in the same day at Bestival at Port in 2014 and by this time the novelty had worn off. Gotham however I must have listened to thousands of times and I am able to return to it even now for its enchanting and peculiar Gothic quality. These tracks definitely demonstrate a new and trademark approach to electronic music. I very much enjoy their melancholy tone- smooth melancholy sounds in music are always the best for a person who fails to perpetually subscribe to facile bursts of optimism. They are dark and sad but uplifting because they reconcile one with the dark and the sad whilst flattering the ear drums by giving them a bath of glorious electronic profundity. The Venezuelan duo Fur Coat have taken the wheel for me now in his absence but we all know Adomaitis has so much more to offer, being only 32 years old. ‘I’m Marijus Adomaitis aka Ten Walls. Earlier this year I posted comments on my Facebook page, that I deeply regret. My post was linked to homophobia and was very offensive. I am ashamed to have hurt so many people: my family, my country, my colleagues, my friends, the Global LGBT community and many others. Since then I have taken time out to reflect on what I did and work out a way of apologizing that expresses how sorry I am. I am saddened by my own behavior and the impact of my actions on others. I offended a lot of people, was the cause of horrible debates, wrecked both my own and the confidence of others and ruined the plans for many people I was working with. Understandably, I was labeled homophobic and I am not and never have considered myself to be this way. I have to tell you that my action was completely out of character and done at a particularly angry and stressful time in my life. This is not an excuse, but I would like you to know that the content of my post is not a true reflection of my feelings. For many years I have been happily working and collaborating with people from different cultures, religious and sexual attitudes. I have always respected everyone. My post made no sense, even to me. I’m a musician. My music is for everyone in this world. I always try to unite people to promote respect, equality and tolerance, love and peace. It is my priority as a music maker, in music there is no space for discrimination. It is my intention to do something in my home country of Lithuania, to support LGBT groups and educate others on acceptance and tolerance. I am now part of a group of people who have created an electronic opera ‘Carmen’ with a strong message of this. I hope my involvement in this project will be the first step to educating others in my home country that homophobia is simply not acceptable and that everyone should be free to live the life they choose. I am sorry for what I have done. I am sorry I let myself down. I hope you can forgive me and that one day through my actions and future behaviour,I will once again be accepted for my music. You see the thing is, once you do something quite as tragic and ignominious as Ten Walls did and you get caught red-handed to the point where serious love has been lost by the public, in any situation practically, an apology is always going to be completely necessary but at the same time also a completely worthless endeavour. It is necessary for two obvious reasons; Firstly in order to reconcile oneself with your newly created adversaries and try and rectify the upset that one has created. And secondly the apology is necessary for the benefit of his own personal welfare in order to re-establish his life and career. This is where the worthlessness of the apology comes in because we will never know which reason he was concerned most with when apologising, and we will never know its true value or purpose. Even if the apology does pledge his support to LGBT groups across the Baltic states, we still do not know! Sorry I said some really disgusting things about gay people, I apologise as it might affect my record sales. Yours. Ten Walls. What Midland said is obviously fair enough. But much more thought needs to be put into this now the heat has died down. A point has to be made here about the significance of geography in determining cultural values. If you go to Saudi Arabia you will find yourself in a country which brutally enforces radical Islamic law on its citizens. In Afghanistan the national sport is Buzkashi -(literally “goat dragging” in Persian) or the sport in which horse-mounted players attempt to drag a goat or calf carcass toward a goal, when in our case we replace the goat for a bouncy sphere. If you go to China they do bad things to dogs, whereas we keep them on leads, name them and take them out for walks. If you go to the United states you will find people who when they want to find out about what’s going on in the world will tune into Fox News whereas we British tend to be pretty fond of Trevor Mcdonald. In the UK we probably fail to participate in these activities and tendencies and would probably be appalled to see them practiced on our Island in the Atlantic. But do we deserve credit for our own perhaps more refined standing points? No of course not because the experiences shared in every country that shape the attitudes of the people are COMPLETELY different and play a FUNDAMENTAL role in shaping them. Whether it’s what religion we have, what sport we play, what animals we choose to cultivate or slaughter, what news channel we watch or what views we have of the homosexual community, they are all to a large extent the product of our environments and therefore often largely out of our control. And some of them are always going to be horrifying. Our environment here in the UK for example just happens to be one which has adapted to become highly respectful of other races, nationalities, and sexualities (although I know that it may be argued; NOT ENOUGH! But this is a different conversation altogether). Who knows, in another country maybe even the glorious and morally bullet-proof you and I could have been been the proponents of fascistic balderdash? I went to Lithuania (Marijus Adomaitis’ home country) this summer and I heard from a few of people that their views on things like homosexuality are generally less developed than ours in the UK due to various factors. I know that this isn’t credible evidence to argue that point, and I know that it won’t apply to a large percentile of Lithuanians who have come to respect minority groups of their own accord and deserve respect for that to the same degree as everybody else does but sadly it seems to have applied to Marijus Adomaitis in this instance. And from this perspective it simply doesn’t make sense for the likes of Midland to get on their high-horses here, because there is serious reason to doubt that Marijus Adomaitis had the same opportunities to become as understanding of homosexuals as they have. Now you see ladies and gentlemen I realise that having written what I have here I have effectively taken off my trainers, raised my arms to my sides and stepped onto a tight-rope over a fifty thousand foot drop into the abyss. Or I am in danger of appearing as if I am advocating acceptance of fascist viewpoints and am suggesting that we should accept that people hold these views and not challenge them. But quite the contrary! I am saying that we would do well to understand the reasons for the origins of these unacceptable opinions and then it is therefore subsequently an OBLIGATORY duty for us to fight this ignorance with our own much more reasonable opinions. And if that means being vehement about it then yes- whatever is necessary for destroying the ignorance that is the root of all the strange evils and unsophisticated contempt emerging all over the place in the 21st century world! Everybody was correct in cancelling Marijus’ bookings for the summer. Everybody was right in attacking him on Twitter. And I would accept that the guy has had to seriously question his homophobic attitudes as a result of that (actually believing what was stated in his most recent apology). Ten Walls has been made to pay for his crime in reputation, career and personal misery. Regardless of how possibly dubious the motives might be for his apology he has done everything in his power to repent. My question is would it not be tremendously unmerciful and perhaps even hateful for us not to forgive him and then cast him to the west wind like a palm full of dust never to be appreciated again for eternity? Would this not express the same hatred (and dare I say, intolerance?) that we were trying to vanquish in the first place? The public’s righteous and vehement reaction to his words was surely the result of the rational and compassionate principles that were being threatened by this DJ’s ignorant and nasty words. So it would only be fitting to appeal to those principles again now. Yes we should forgive Marijus Adomaitis, because it is the most rational and the most compassionate thing to do.